Leading veterans' groups are disturbed by the way veterans hired as prison guards are portrayed in the new season of the Netflix series, "Orange is the New Black." The veterans' groups say they take issue with the way the new guards disparage the inmates throughout season four of the drama that takes place in a women's prison and the way they talk about their combat experiences. The Veterans of Foreign Wars called the show "offensive." Iraq And Afghanistan Veterans Of America said it will further stigmatize veterans, and Disabled American Veterans said the show is out of the touch with the reality of the veteran experience. Netflix didn't respond to multiple messages left Thursday and Friday seeking comment. In one scene in the finale, a guard tells another guard about innocent people he killed in Afghanistan. After spending so much time chasing bad guys, he said, "you get so mad, tired and bored" that you "just grab a farm kid" and make him juggle live grenades until one blows up. That's egregious, and just one way veterans are misrepresented, said Dan Clare, the national spokesman for DAV and an Iraq War veteran. The danger, Clare said, is that "Orange is the New Black" is a popular show airing at a time when many service members are returning home and looking for jobs. If the public has a negative perception of veterans, that will affect how they're able to transition back into civilian life, he said. VFW national commander John A. Biedrzycki Jr. said the show's writers and producers chose to offend all veterans because they needed new villains. He spoke out Thursday, after a 27-year-old Air Force veteran, Tahlia Burton, wrote an opinion piece about the show for a military news and culture website, Task & Purpose. Burton describes herself as a "huge fan" of the show. After binge-watching the fourth season, released in June, she said she was appalled because veterans are shown as "bloodthirsty, heartless killers and sexists." She said she's not saying veterans deserve "hero status," but "don't portray us as a group of monsters." 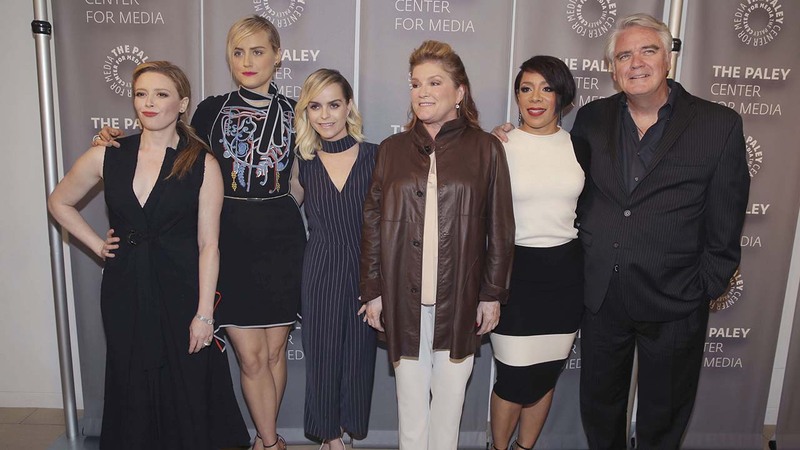 "'Orange is the New Black' had the opportunity to portray veterans in a way that shed light on an identity that's widely misunderstood," she wrote. "But instead, the show fed into the very worst stereotypes that we've been working so hard to overcome." At IAVA, policy officer Jonathan Schleifer said the show's producers are unfortunately telling stories that will further stigmatize a community that has been through so much. Biedrzycki said the "deranged veteran story line" must change and he asked for an apology. Burton, of New York City, said on Friday that she's torn about whether to watch future seasons, but likely will, in the hopes that the audience will be given a chance to empathize with the veterans, much like they have with nearly every other character in the show.